Costco probably isn't a place where you'd expect to watch a performance by a piano prodigy, but a viral video captured the moment that it happened. 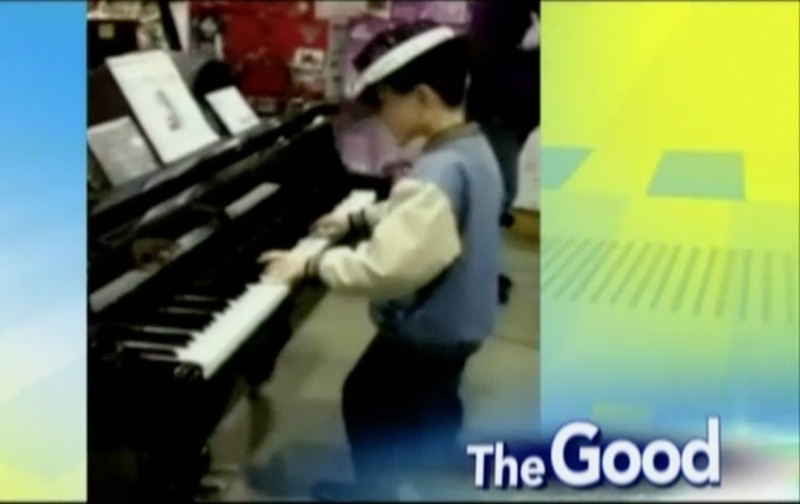 According to "Fox & Friends," a kid wowed customers in Costco as he casually played the piano like a young Billy Joel. The video was posted in 2011 but has just gone viral. "While his parents where off finding the best deals on buckets of mayonnaise, lil' Felipe found something to keep himself occupied. while most children would be screaming and crying, Felipe is hardly even bothered by strangers with video cameras as his fingers glide across the 88 keys and he works the foot pedals... all with out a stool or parent in sight!," the YouTube description reads. The description says the piano prodigy was unfazed by all the cameras around him. Something tells us "The Ellen DeGeneres Show" might try to track this kid down.